Browse our Facebook page and 'Like' us for our informative updates. Take a look at our 'Paperbark Garden Design' Pinterest Page for great ideas on style and the garden. A North Yorkshire Garden One Year Old Planting. 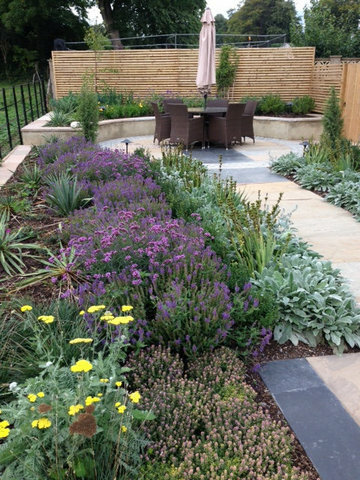 Looking back one year to when this beautiful North Yorkshire garden was planted, and even earler to the 'before' garden. Thankyou to our lovely clients for sending through some great photos. The whole process began in February 2015 with an initial meeting, then a survey, Outline plan, Detail plan, costings, build in June 2015, plant and enjoy. The garden this June 2016, the yellow achillea contrasts with the deep blue salvia. Client's own photo. The garden in August 2015, buzzing with bees. Client's own photo. The garden immediately after planting in June 2015. With the build complete, the planting begins. 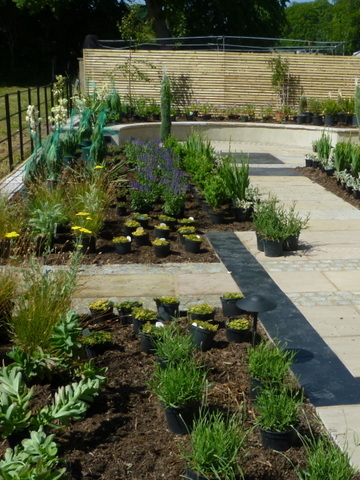 Each plant is positioned on site and then adjusted as necessary before the planting begins. 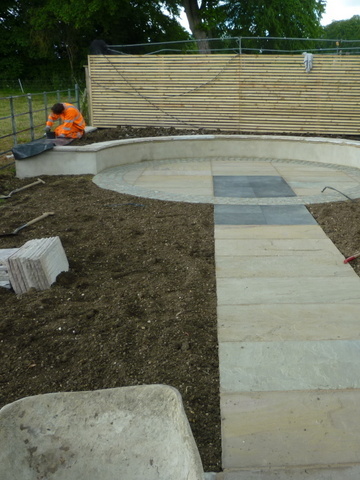 The build in progress with the timber slat fence in place, rendered circular wall/seat, stone paving with black limestone detail. Estate fencing drastically change the garden boundary view. The garden was truly a blank sheet. A lovely new book 'Great Garden Design' and we feature! 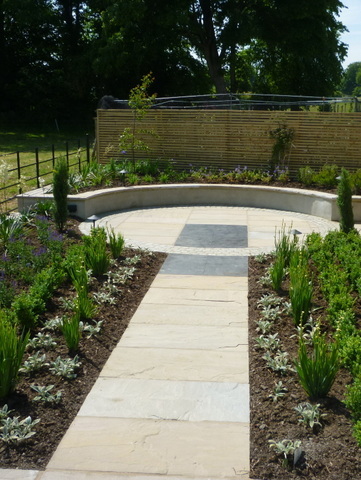 Planting complete at Roundhay garden in Leeds, Yorkshire. Beautiful physalis seed cases in March.